I provide professional copywriting services and am trusted and endorsed by brands & businesses across the UK and internationally. 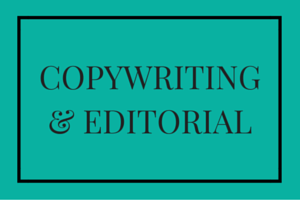 Are you looking for copywriting support? As a professional copywriter, trained journalist and founder of The Original Wordsmith, I am passionate about words and messaging, but also fully-focused on the marketing intent behind them. I know that all copy should be written with the intent of really selling my clients’ businesses. My words can be seen online and in print across the globe. I’ve been commissioned by major players in the publishing world and have written and edited magazines, newspapers, books, websites and more. You will definitely recognise some of the brands and businesses I have written for but while I am able to discuss them, client confidentiality prevents me from listing them all on this site. My work will show you a snippet of the copywriting services I provide but for the full picture, please get in touch. Whether it’s short copy for a catchy and captivating campaign, formal documentation or carefully targeted SEO website copy and content for your website, I’m confident that I can help you.